Why is Red Bull launching an organic range of refreshing soft drinks? 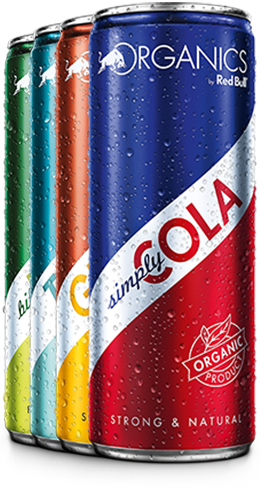 We believe there is a need for organic soft drinks that only use ingredients from 100 % natural sources. With ORGANICS by Red Bull we provide our consumers a range of high-quality soft drinks that bear the organic label of the EU.